April 3rd, 2018. 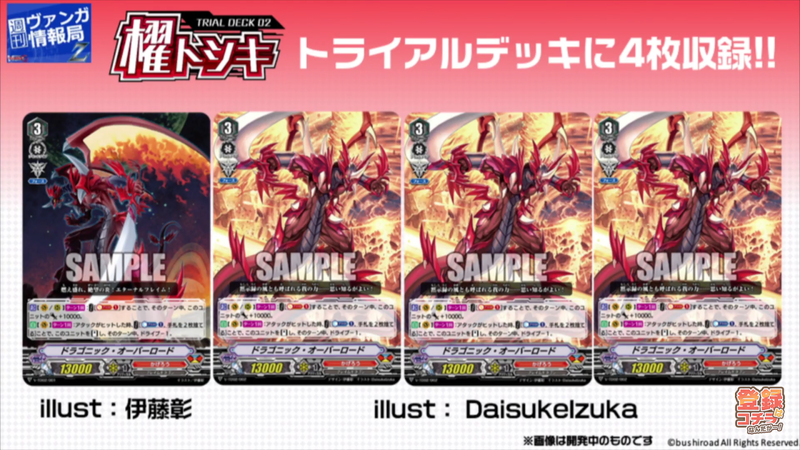 Today on the 26th episode of Weekly Bites Z, host Doctor O revealed the upcoming cover for V-Trial Deck 02: Kai Toshiki. As suggested yesterday in Card Gamer magazine, Dragonic Overlord has a powerful self-standing skill that can easily end the game when applied properly. ACT [Vanguard/Rearguard Circle] Once per turn: [Soulblast 1] During this turn, this unit gets Power + 10000. AUTO [Vanguard Circle] Once per turn: When this unit's attack hits, you may [Counterblast 1, discard 2 cards from your hand] to Stand this unit, during this turn, it gets Drive -1. The card combines different aspects of past Overlords, primarily the original Trial Deck Overlord of seven years' past and his infamous crossride Dragonic Overlord The End. Being able to power up in any circle matches the original Overlord's dual vanguard-rearguard utility, while being able to stand regardless of whether he hits a vanguard or rearguard gives him the immense pressure of The End. Like many of Vanguard's earlier restanders, Overlord only gets 3 drive checks total instead of 4, and is a net -1 in card advantage. 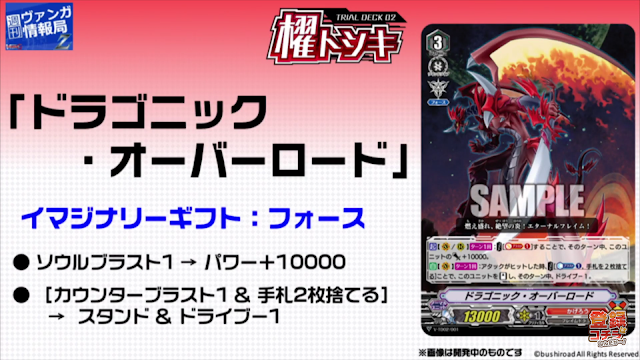 If used in combination with the current card of the day, Vortex Dragon, Overlord can attack a rearguard first to rob the opponent of an interceptor and power up Vortex. Four copies of Dragonic Overlord will come in V-TD02: Kai Toshiki, which launches in Japan May 11th and in the United States June 8th. 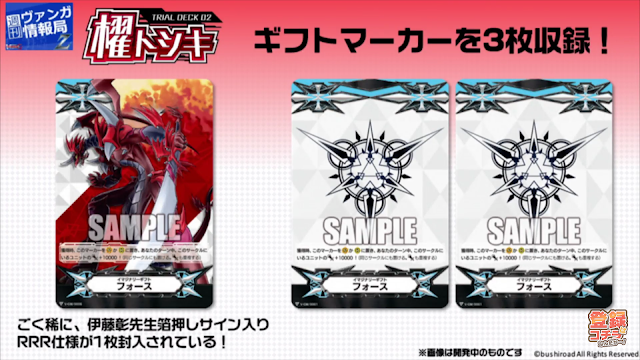 One copy per Trial Deck will be illustrated by Dragonic Overlord's original designer and illustrator Itou Akira, while the other three will be illustrated by Daisuke Izuka, who also did Overlord's BT01/004 art from Descent of the King of Knights. The Trial Deck will also come with a set of three Force Markers, one of which will feature Dragonic Overlord on it.